This entry was posted on Wednesday, December 18th, 2013 by Frances Ryan. Today marks one calendar month since I began my PhD. And since I promised an update, here I am to tell you about it. Well, about the highlights at least. Much of the first month has been spent finding my bearings and I’m pleased to say that I’m beginning to do that. Though I admit I still have more questions about the process than answers! Actually, I guess the more accurate statement would be that much of the first month has been spent reading. And reading. And reading. And finding ways to find more stuff to read! All of which has left me, again, with more questions than answers! But I understand that this is normal, so I’m not too worried. Over the next few months, I will be busy reading, writing, and thinking—all in preparation for my literature review and a major document I’ll need to create for my one-year mark. So, that’s a big progress update for you to look forward to! Oh! And if you want more information about my PhD—the process of doing a PhD as well as some of the research I’m doing—you can check out my new PhD-focused blog, Just a PhD. However, even with this new PhD-focused blog, I will continue to maintain and update Just Frances as my primary personal corner of the World Wide Web. Here, I will talk about all of the things I’ve always talked about: Everything and nothing! Of course, I will still talk about my PhD on Just Frances because it is part of my life and because I feel that I can’t hide it away. 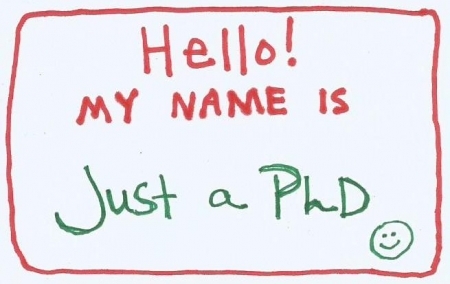 But the PhD stories you get here will be less academic-y and more personal. Though there may be occasions when I cross post, too. If you want to follow my PhD progress on justaphd.com, there is a place for you to enter your email address on the right-hand navigation. That will ensure that you get an email notification every time I post something. And if you want the same sort of notification for justfrances.com, you can subscribe here! Thanks for all of your support so far. The encouragement I’ve received from you here and through other social networks (and in real life!) has helped me to realise my dreams so far!